The Marriage Family Business podcast are for those seeking the full package out of life— self-worth, relationship happiness, family satisfaction and career success. 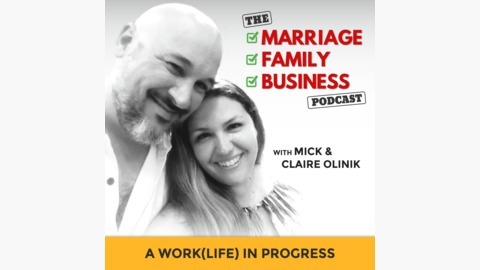 Join Mick and Claire twice a week as they share the inside details and unedited stories of their entrepreneurial journey and Discover in real life advice, strategies and tools to help you navigate your own. 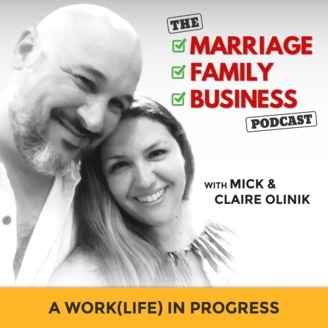 Be a fly on the wall as Mick and Claire share advice they’ve learned from their toughest relationship challenges to date, mixed with their most wild and hilarious stories from their lives as entrepreneurs, parents and life long partners. Find links, free resources and show notes at www.marriagefamilybusinesspodcast.com.